OPEN HOUSE SUNDAY FEB 10, 1P - 3:30* W O W !! WHAT A PERFECT HOME! *YOU WILL BE ALL SMILES AS YOU WALK THROUGH THIS HOME! *DESIGNER DECORATED*BRAZILIAN CHERRY FLOORS ON MAIN LVL &STAIRS TO UPPER LVL*AMAZING OVERSIZED WINDOWS THROUGHOUT*OPEN FLOOR PLAN*HUGE GOURMET EAT-IN KITCHEN W STAINLESS APPLIANCES, GRANITE COUNTERTOPS, ISLAND, CUSTOM CHERRY CABINETRY, SLIDING GLASS DOORS TO LARGE DECK*LIVING ROOM IS MASSIVE AND BOASTS A BEAUTIFUL GAS FIREPLACE*UPPER LEVEL HAS 3 LARGE BEDROOMS*MASTER BEDROOM WILL SURPRISE WITH A BATHROOM THAT IS BEAUTIFULLY TILED WITH A SEPARATE SHOWER, SOAKING SPA TUB AND 2 SINKS IN A VERY LARGE VANITY WITH GRANITE COUNTERTOPS*LOWER LEVEL IS APPROXIMATELY 20X17 AND LEADS TO SLIDING GLASS DOORS TO AN EXTERIOR MASONRY PATIO*THIS HOME HAS IT ALL! *TURN-KEY CONDITION*LOCATION IS SECOND TO NONE WITH CLOSE PROXIMITY TO METROS, BUSES, 395*NEAR ALL THE BEST RESTAURANTS IN SHIRLINGTON AND ARLINGTON*NEAR THE BEST BIKING/WALKING TRAILS**SEE YOU AT THE OPEN! SchoolsClick map icons below to view information for schools near 3452 25th Ct S Arlington, VA 22206. Home for sale at 3452 25th Ct S Arlington, VA 22206. Description: The home at 3452 25th Ct S Arlington, VA 22206 with the MLS Number VAAR104392 is currently listed at $736,000 and has been on the Arlington market for 71 days. 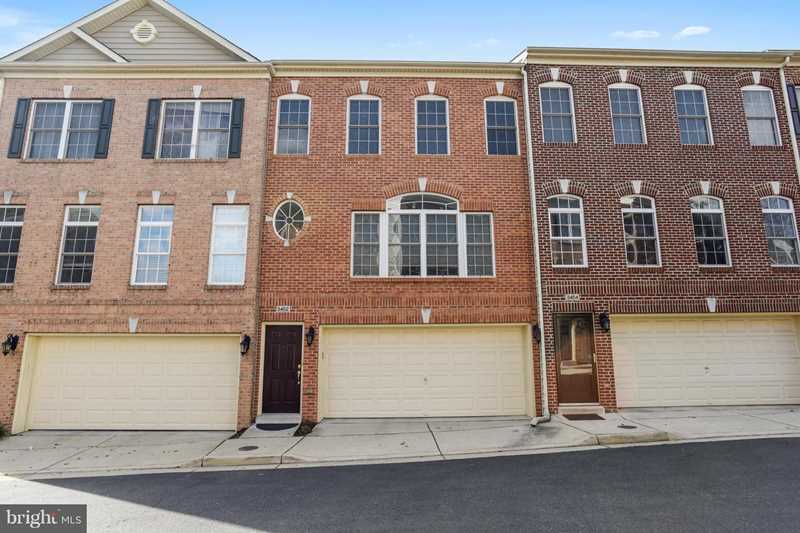 You are viewing the MLS property details of the home for sale at 3452 25th Ct S Arlington, VA 22206, which is located in the Bowmans Hill subdivision, includes 3 bedrooms and 4 bathrooms, and has approximately 2200 sq.ft. of living area.